Visit and enjoy Cedarburg at our spring shopping & dining event! 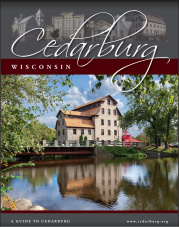 Paid registrants receive the Official Cedarburg in Bloom Guide, filled with specials good on May 18th only! Buy fresh cut flowers throughout downtown for yourself or your friends!